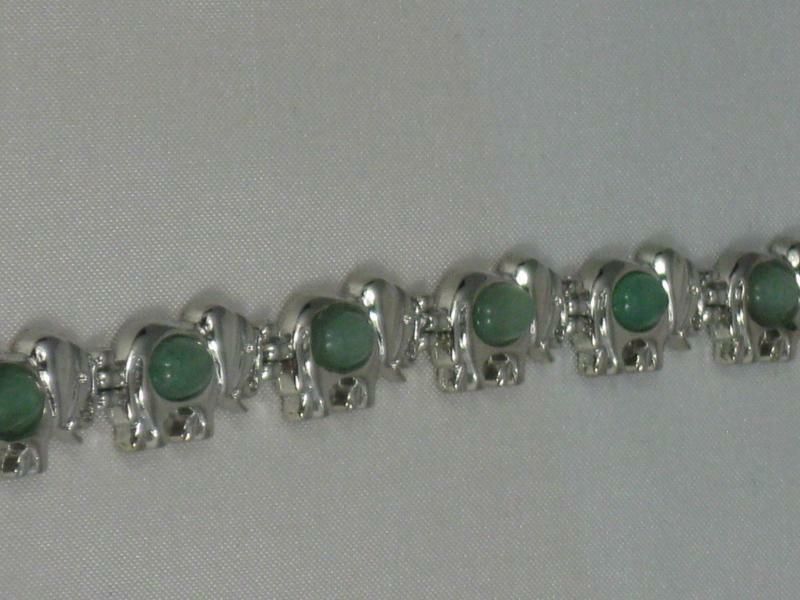 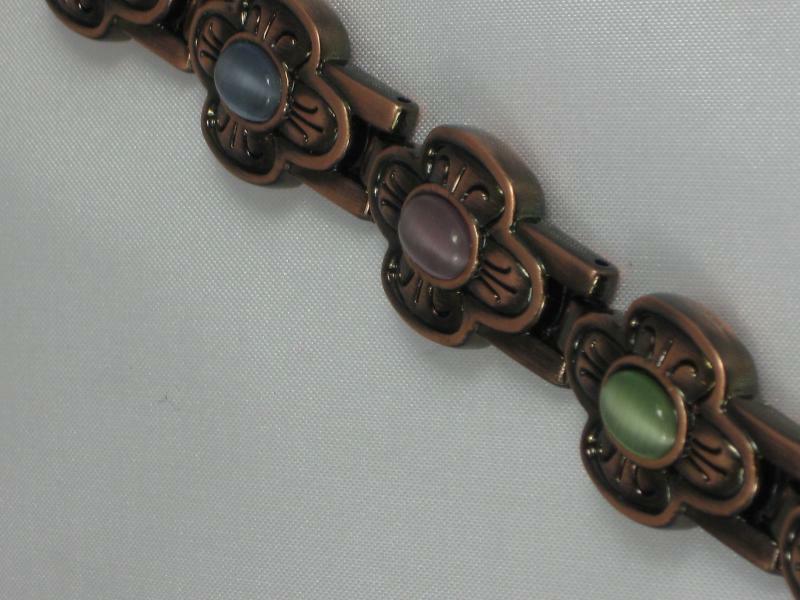 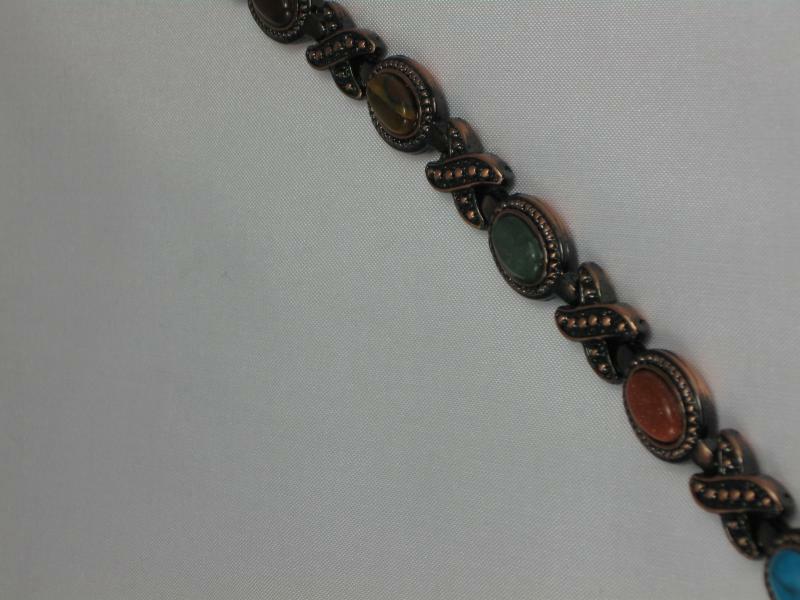 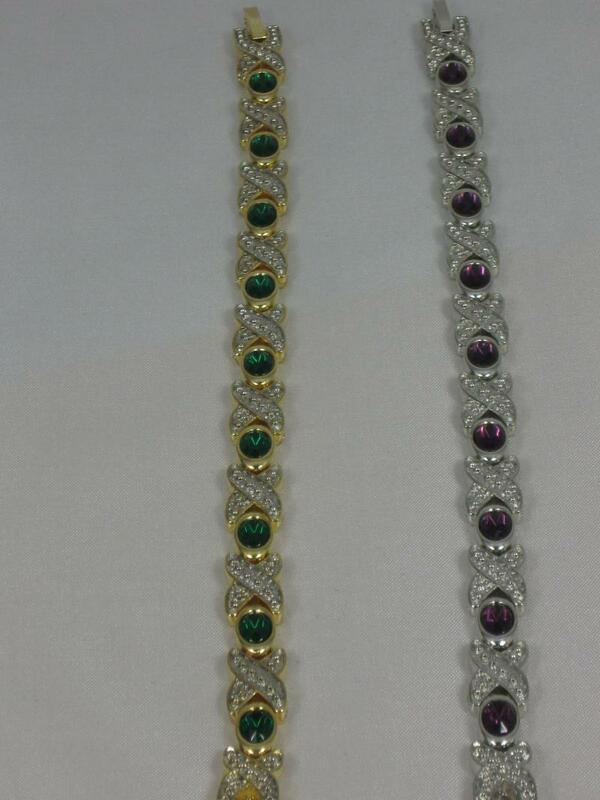 This is a very pretty silvertone bracelet with 9 elephants each with an inset coloured stone. 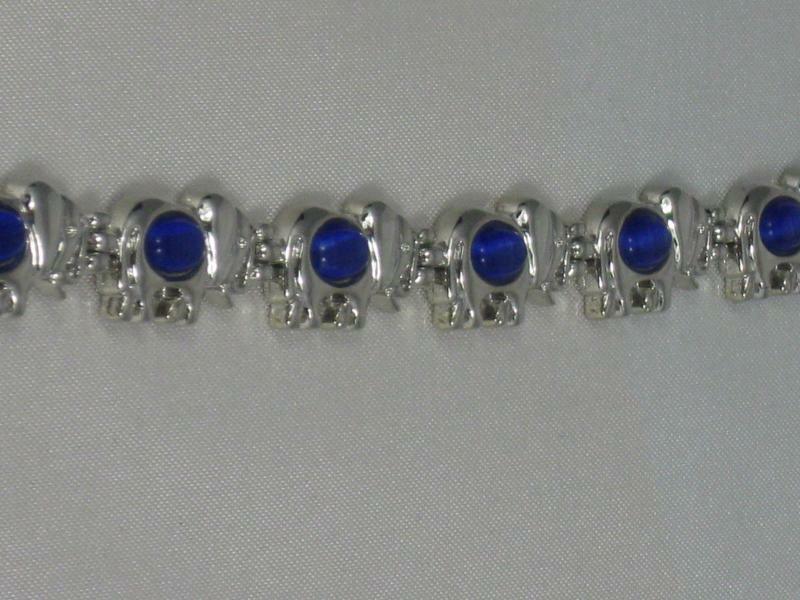 Not only is it a lovely bracelet, but 7 of the elephants have a magnet on the inside making it a very thoughtful gift. 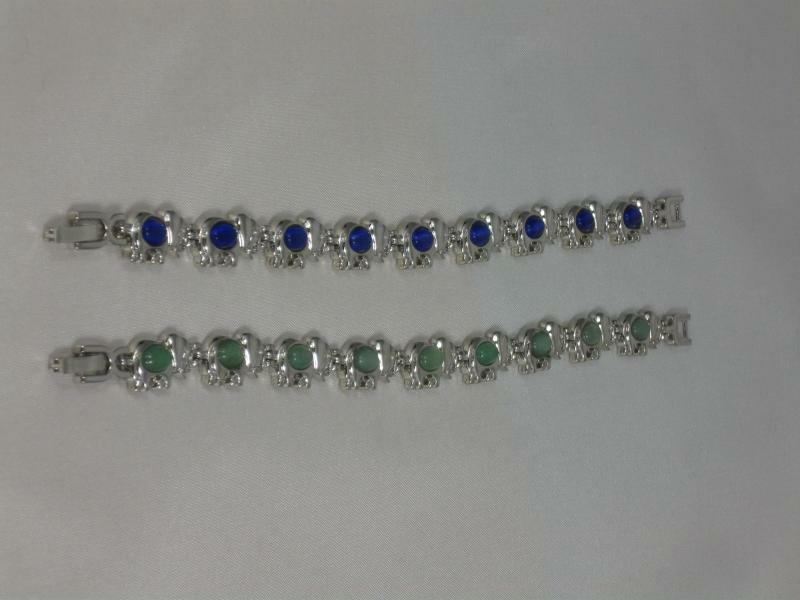 Choose from Deep Blue or Pale Green, and if this is a gift, you can select gift wrapping at the checkout. 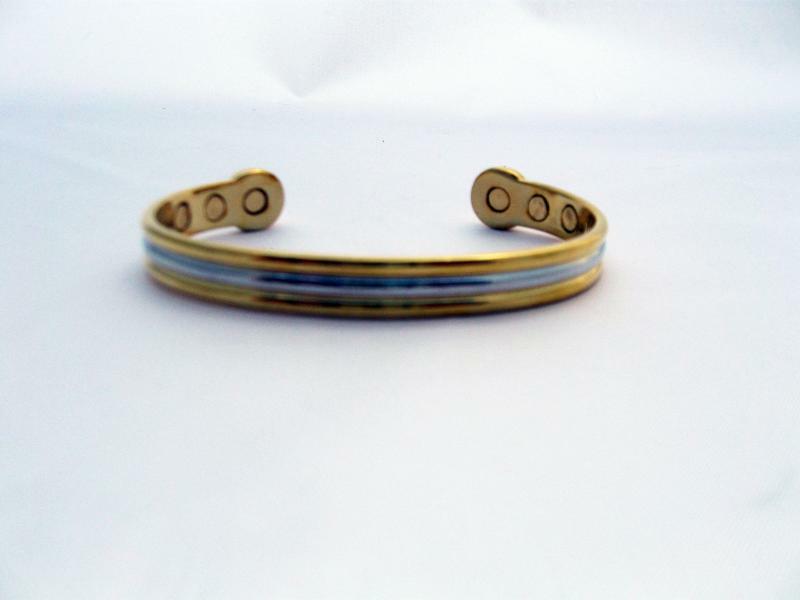 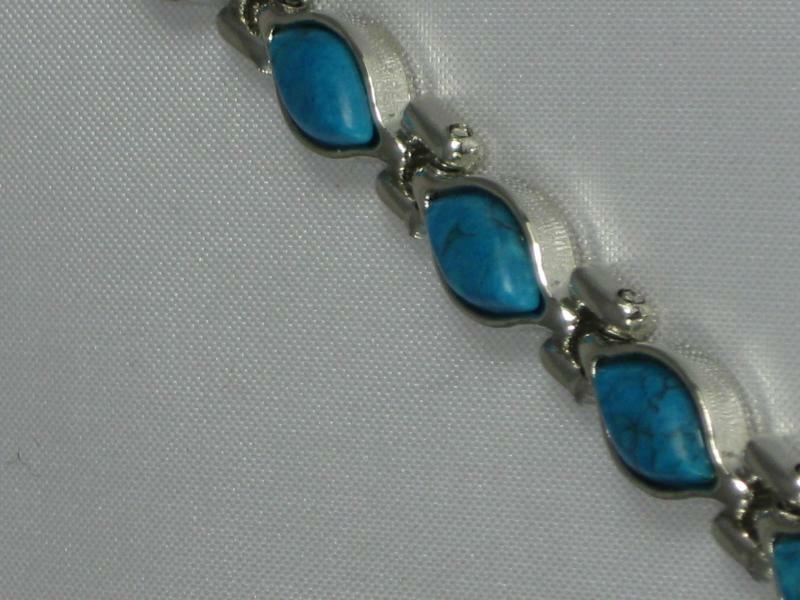 Silver colour Ladies Magnetic Bracelet with Turquoise coloured Stones. 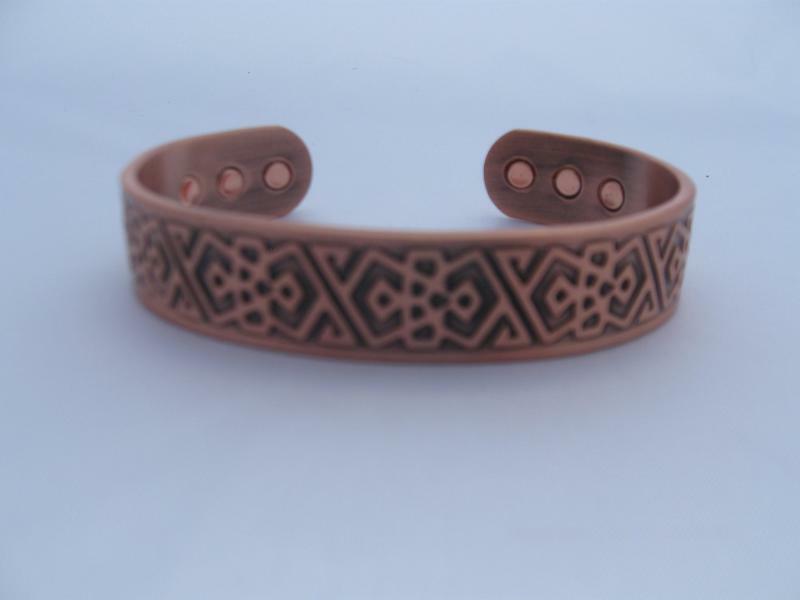 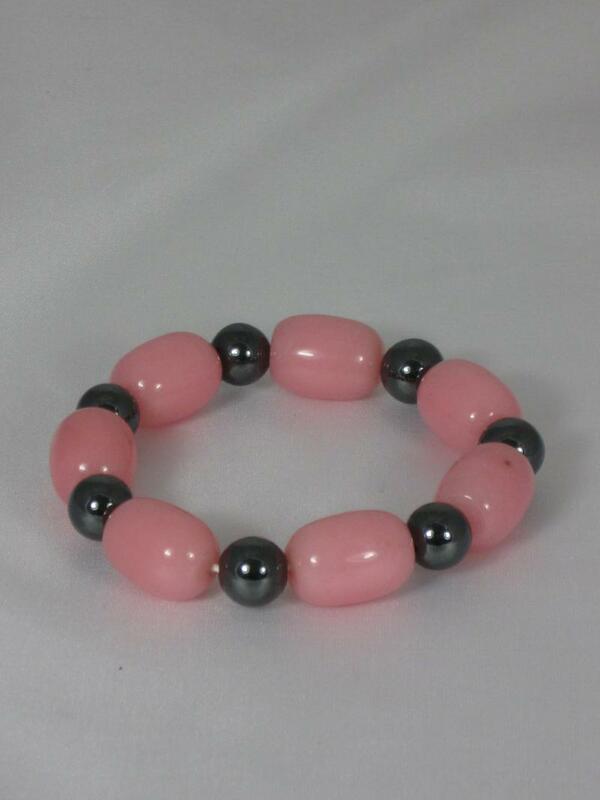 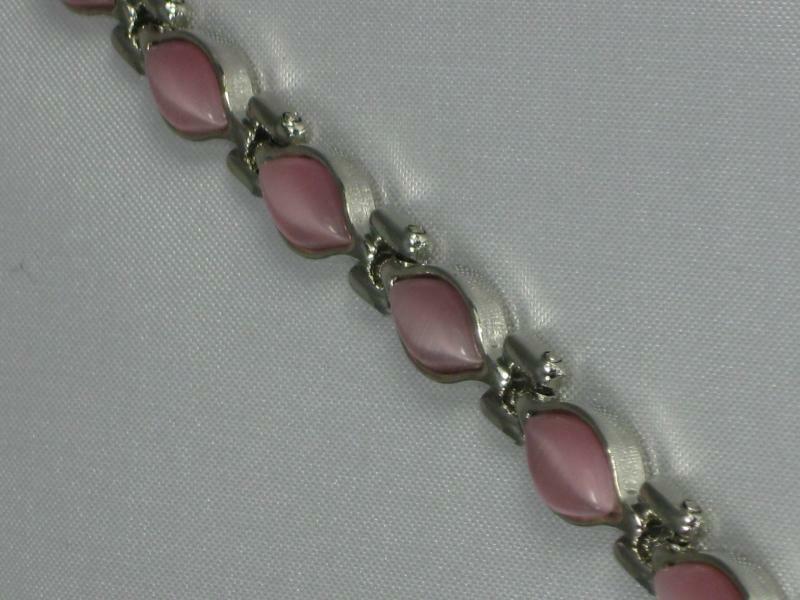 Silver colour Ladies Magnetic Bracelet with Pale Pink coloured Stones.